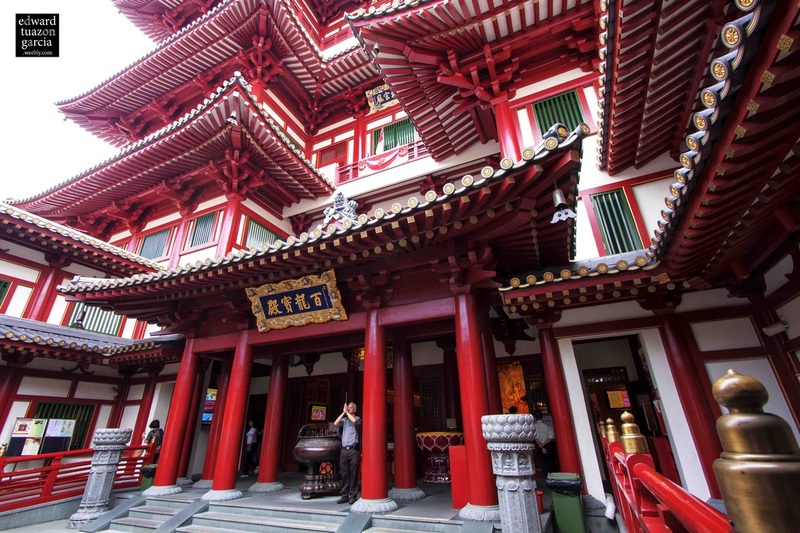 The Buddha Tooth Relic Temple and Museum is Singapore's biggest Buddhist temple nestled in the busy streets of Chinatown. Finally! a man stood in the middle of my frame saying his prayers. The human element made this a better photograph. It showed the scale of the temple and a much better story evolved.